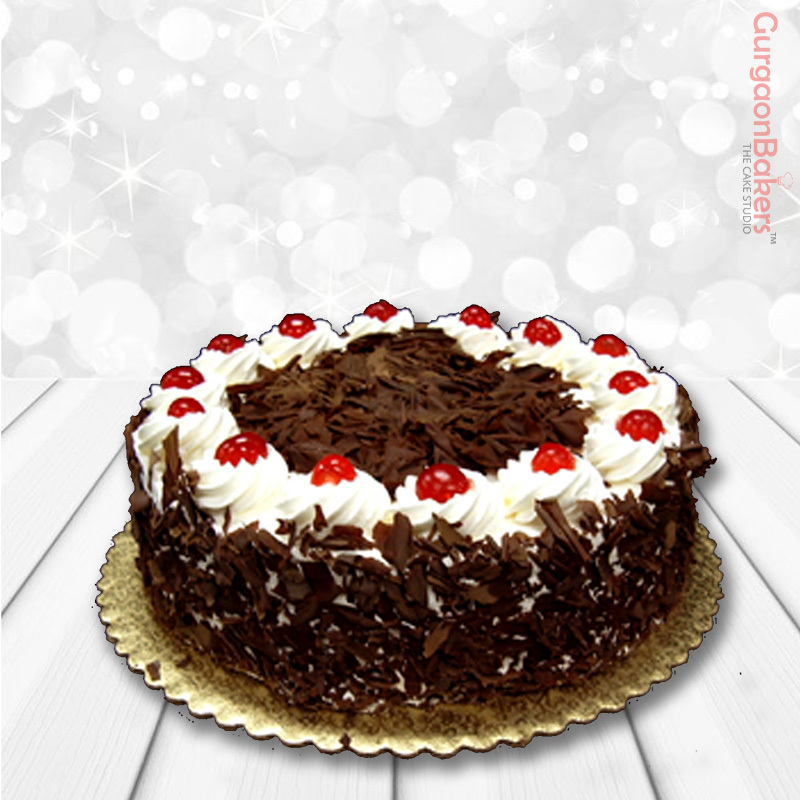 Undoubtedly Black Forest cake is a classic all-time favorite bakery product which you can online cake order in Gurgaon. Chocolate base (2 layers), loads of tasty cream and sprinkling of chocolate shavings with cherries on top of it. Certainly, cannot go wrong with this cake in GurgaonBakers Menu card! It’s like a tandoori chicken in the mughlai menu card! A delicious combination of chocolate cake, cherries and loads of fresh whipped cream makes up a classic Black forest cake. We use cherries both on the inside and the outside of the cake, that is making it a very tempting delight. Suitable for every occasion, this is delicious, elegant and simple. It is easily the most recommended amongst the birthday cakes in Gurgaon. Online cake order in Gurgaon today! We provide reasonable cake options for birthday and anniversary.